It began with a realization about the power of sound and symphony…the concept of lyrical branding. Assigning qualities to a place through the use of original song and melody. 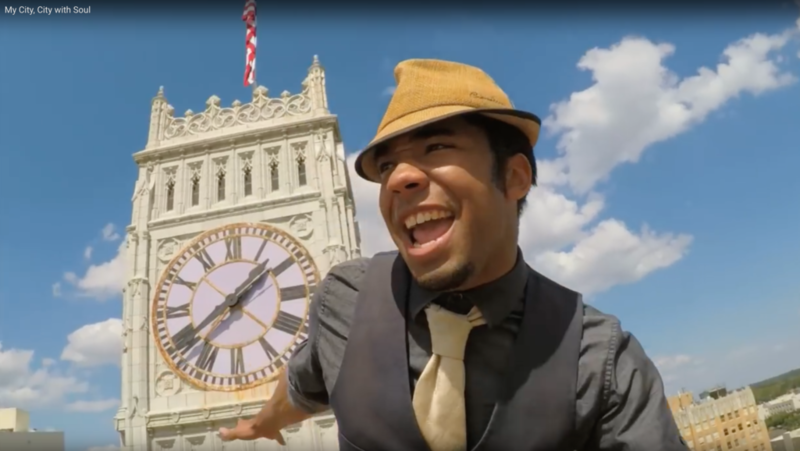 Visit Jackson, the organization tasked with promoting hospitality and tourism for Mississippi’s capital city, sought to create a campaign that would establish the place as a unique and authentic destination also appealing to Millennial-aged travelers. The result was a pop/Soul/R&B style original sound track called “My City.” MWB collaborated with recording artist Adam “AJC” Collier and his band The Envelope Pushers to create a song that embodied the spirit of Jackson and captured the vibrant creative scene of the city. MWB then teamed with creative filmmaking company Spot On Productions to add a captivating visual element to the project, in the form of a music video that used interesting places and events of Jackson as a backdrop for performing the song. Now the My City effort has been recognized as a finalist in the London-based 2017 City/Nation/Place Awards in the category of “Best Expression of Place Through Design.” Other finalists in the category are campaigns produced for Courmayeur, Italy; Eindhoven in the Netherlands;¬†Luxembourg; and South Africa. Across all five categories and 25 total finalists, Jackson was one of only three US-based destinations honored. The winners in each category will be announced during the annual City/Nation/Place conference in London on 9 November. Win or lose, the creative team behind¬†My City ultimately knows that being recognized in this manner is a big win for Jackson and Mississippi tourism. The¬†My City project is the initial execution of a larger place-branding destination strategy being implemented by Visit Jackson and their agency MWB. Representing place branding stories from four continents, City/Nation/Place award finalists are sharing their approaches to attracting tourism, driving economic development and engaging citizens through great communications and a clear-sighted vision of their objectives. Place brand strategies need to focus on long-term goals ‚Äì these Awards recognise the need for measurable progress in the shorter term which contribute to the longer-term brand management approach. These case studies will be shared at the City Nation Place Global conference in November, when the winners in each category will be announced.